We only offer taxi loan using your yellow plate vehicle, OR CR and franchise as collateral to get instant quick cash in exchange. See requirements and how to qualify below. 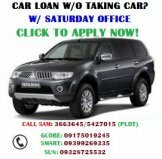 Other types of loans would include choices from taxi financing, refinancing, buy second hand taxi with franchise included or perhaps a UV Express franchised taxi that is ready to use for boundary. "Hulog Boundary" type of credit is no longer offered here in the Philippines for taxi. On the other hand, it only applies to tricycle loan. Note that we are offering taxi loan without taking your car which means that you only use the ORCR and franchise as collateral. There are certain conditions to meet to qualify and the best thing you can do if you are interested is to either fill up our form below or Call Me ASAP so I can pre-qualify you directly. Basically, there are only 3 types of taxi collateral loan in the Philippines. I will be brief in enumerating them all below with description on who can qualify to apply. Taxi Financing - For those who are looking to buy either a new unit or second hand unit whether with franchise included or without. Taxi Refinancing - For those having problem with paying the monthly mortgage amortization to banks or financing / lending companies. Taxi Collateral - For those looking to apply for fast loan using their taxi, franchise and ORCR only without taking car to get quick cash. It is easy to qualify to apply for this type of secured collateral loan in the Philippines. I will be enumerating them below along with simple and easy to understand description so you, the borrower will know the reason why it is import to talk with a qualified and professional loan consultant prior to application. My first suggestion to all loan applicants - "ALWAYS PRE-QUALIFY". Even if you don't decide to apply with me, please ask your agent to pre-qualify you. This will save you both precious time and effort so you don't end up applying only to find out you don't even qualify to. Fully Owned Taxi - Any vehicle that is not fully owned cannot qualify to be used as a collateral to file for a loan. Special cases like refinancing will require you to have paid at least 80% of the total mortgaged value of your vehicle. OR CR Must Be Under Borrower's Name - This is self explanatory but in cases where you are the 2nd or third owner, you may use the absolute deed of sale to qualify. Loan will only be awarded after complete transfer of franchise and vehicle under the borrower's name so expect a longer processing time. Complete Requirements - It is very important to ask for list of requirements and provide a complete set to your loan agent. Without it, your loan will just be another pile of paper in a folder at the office of the lending company. Updated and Latest Franchise and Car Registration - All vehicles have yearly car registration renewal while franchise is based on a certain time contract with the LTFRB / LTO. Be sure your documents including franchise, sticker, OR CR are all updated in their latest. It is really easy to produce requirements when applying to use your taxi as collateral for loan. The problem with previous clients who didn't qualify is the failure to renew franchise and vehicle registration. Usually owners use loans to renew these necessities in order to continue earning from taxi transport business which in my view is very wrong. First, you can't qualify to apply for taxi loan at all with this type of situation. Second, car registration is a yearly must-do for all vehicle owners and lastly, franchise have expiry dates. Prior to all these renewal dates, responsible vehicle and taxi transport business owners should see to it that everything is taken cared of. It is part of requirement to qualify to apply for collateral loan so if you have expired documents, save yourself the time and effort, renew first. For those with updated documents, please see list of other taxi loan requirements below. 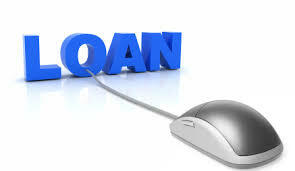 For even faster loan application, please fill up our loan form. We promise to attend to your concern as soon as we receive your inquiry and application.